Wes Moss: How Are You Budgeting For “Fun” This Spring? Whether saving up for a down payment on a house, paying off outstanding debt or creating a rainy day fund, everyone has a financial goal or two for the year. Writing down your goals helps you to think through the details and motivates you to achieve them. It’s also imperative that you and your significant other are on the same page when it comes to your financial goals. Sit down by yourself or with your significant other, and write down on the left-hand side of a piece of paper all your sources of income. Look at your tax forms, W2 or 1040, to get an accurate amount of your income. Then on the right-hand side of the same piece of paper, write out all your financial obligations. Your paystub should quickly tell you how much you’re paying for healthcare, putting towards your 401K, and how much you are setting aside for taxes. Don’t forget to include your insurance, mortgage, car payments and any other financial obligations that you are accountable for throughout the year. Looking at your gross income (if you are working), remember that approximately 30 percent will come right off the top for taxes (both Federal and State), 20 percent should go towards savings (emergency fund and retirement assets) and 50 percent to “life”. This formula is key to a healthy financial plan. You can read my previous blog post to learn how this formula will keep your finances in check. So, do your in-flows exceed your out-flow? I hope so. If not, it’s time to right the ship, and this financial spring cleaning is a great time to reevaluate your budget, savings, and spending habits. Cleaning up your finances is a good time to make sure that you have all your important financial assets covered with insurance, which includes your house, car and health. Do you have life insurance, or need more coverage? For most families, the most cost effective option for life insurance is level-term (10 to 30 years). If your life insurance needs have increased (ie: more children or a change in lifestyle) it may be time to revisit your coverage amounts. If you don’t have an agent you are working with, it’s fine to shop for term life insurance online – for quotes visit MatrixDirect, AccuQuote and QuickQuote.com. While cleaning up your finances, be sure to include a budget for fun, whether it’s a trip to the Fox Theatre or a vacation to Florida. 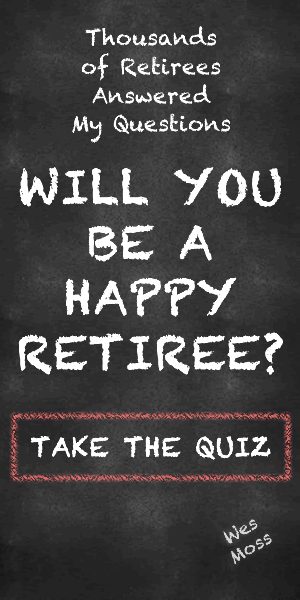 Research for my upcoming book, You Can Retire Sooner Than You Think, shows that happy retirees take nearly twice the number of vacations each year compared to unhappy retirees. One of the smartest and most respected consumer advocates in the US, our Atlanta neighbor Clark Howard, has some great suggestions for traveling on a budget if you’re looking for fun, money conscious ideas. Have you done your financial spring cleaning yet?